Free Geek Vancouver has won the Vancouver IPv4.Global Good Netizen Awards (GNAs), followed by runner-up organization, Society for Canadian Women In Science and Technology (SCWIST). Both organizations will receive a financial contribution from a donation pool generated by IPv4Auctions.com sales in proportion commensurate with final voting. 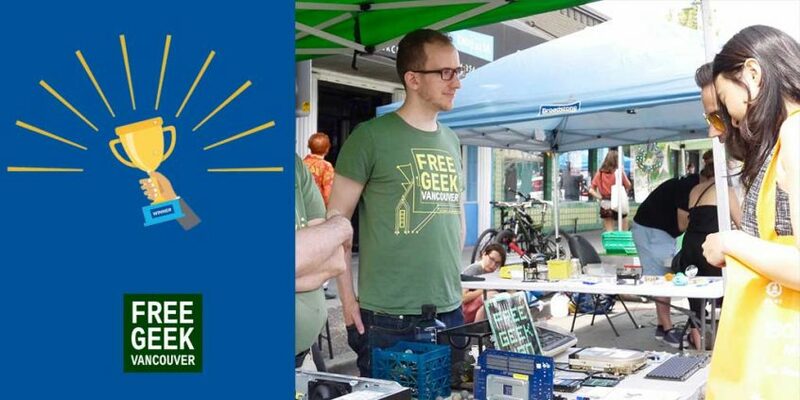 Free Geek Vancouver ended the race with 55 percent of the total of votes cast for the winner and runner-up. Second place went to SCWIST with 45 percent of those votes. The next IPv4.Global Good Netizen Awards will take place during NANOG 75 in San Francisco, California, February 2019. Future IPv4.Global Good Netizen Awards programs will coincide with industry meetings and events across the globe. Know an organization in San Francisco that is displaying good netizenship? Nominate them for the next award! Contact us for more information about the IPv4.Global Good Netizen Awards.